All of that is fit in a tiny enclosure that runs very quietly, apparently producing the same fan noise as a Mac Mini. Also interesting to some will be that the new Mac Pro is built entirely in the USA. Unlike the immediate release of OS X Mavericks and the MacBook Pro updates, the Mac Pro will arrive later in the year sometime in December. A precise release date was not named. 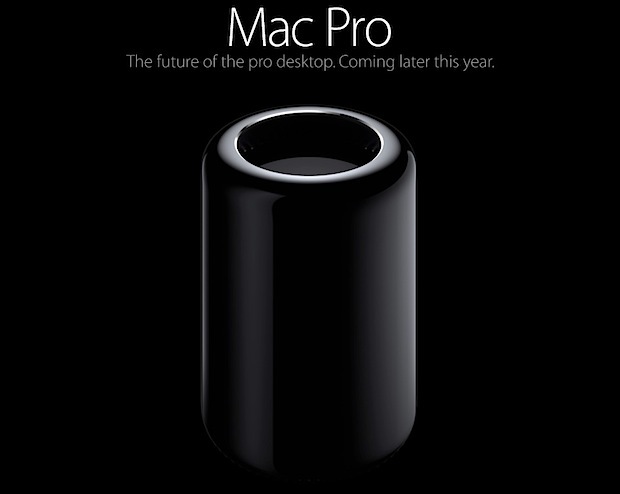 You can read more about the new Mac Pro at Apple.com. Mac App Store to Launch December 13?